I feel like cueing up Steve Martin in “The Jerk” but I have already done that once, and I hate to repeat. So, you think about that scene where the phone book arrives…. 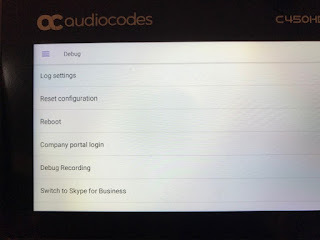 I got a squeaky new Audiocodes C450HD. A long time coming. But, now I have a Teams phone. And based on the goodness that is an Audiocodes handset. So, we should have a pretty nice piece of gear here. Let’s kick the virtual tires and see how this thing works. 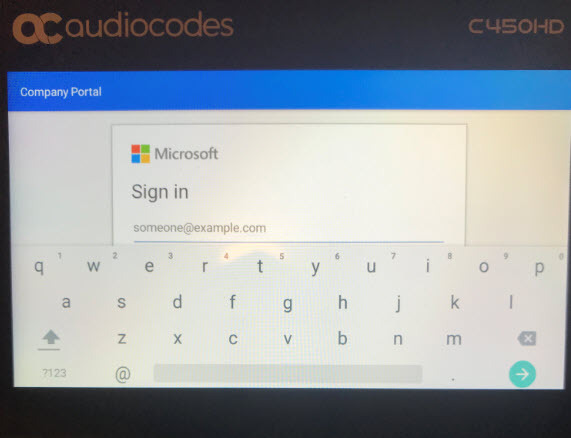 Tapping the 'Sign in' gets you to the Company Portal page, and a further tap in address entry cell pops up a handy qwerty keyboard. Edited Note: I contacted Audiodcodes about the placement of the virtual keyboard and was told that anything UI is Microsoft-dictated. So, if you get chapped off at poor design (like I did), your complaint needs to go to Microsoft, who we all know is NOT E.F. Hutton when it comes to this kind of thing. 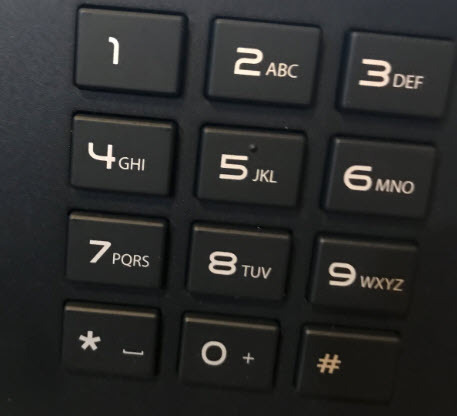 Once you figure out how to spell your UPN correctly, and the verification code is received, you get two options for data entry…keyboard on screen or you can simply use the big square things on the phone itself. Let’s do a little reading to figure this out. 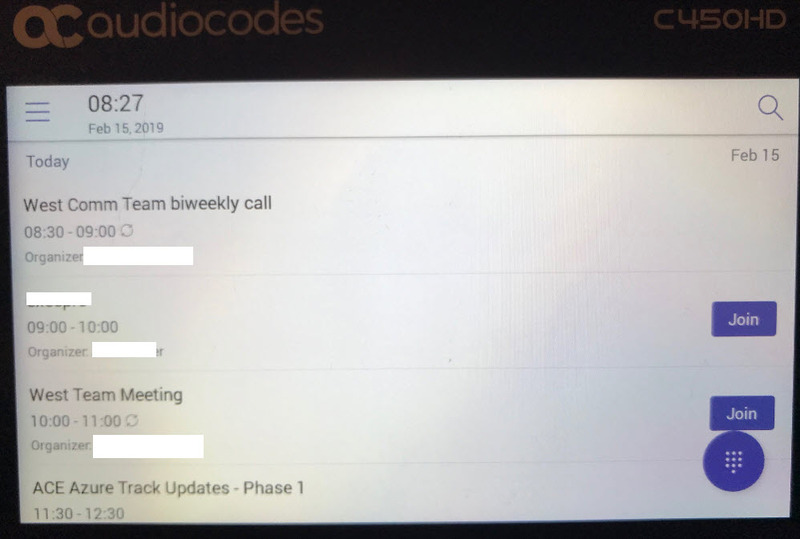 And we discover that on this page here: https://www.audiocodes.com/library/technical-documents?productFamilyGroup=1672&productGroup=16127 there does not appear to be any user guide for the TEAMS version of this phone…. odd. 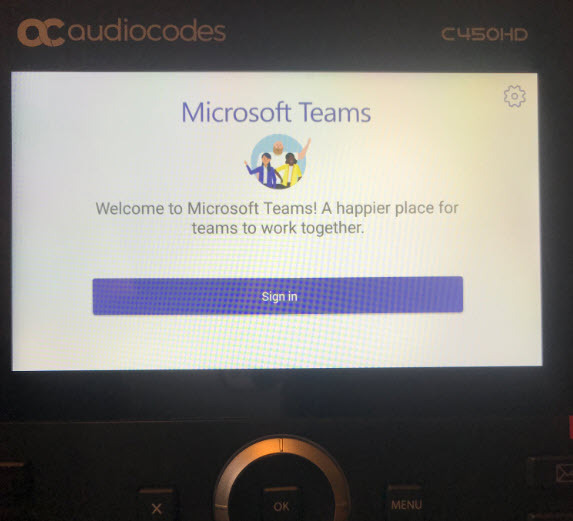 A quick call to my Audiocodes contact (who I am sure will never answer my call again) revealed that the code is not GA yet (Microsoft supplied code) so therefore the TEAMS documentation is not published yet. Bummer. 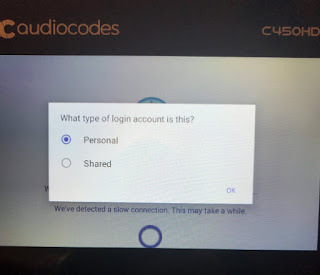 But, to answer my own question, a few quick (or not) logins later and we have the information that “Shared” pretty much presents the phone as a CAP (nee SfBS CAP). 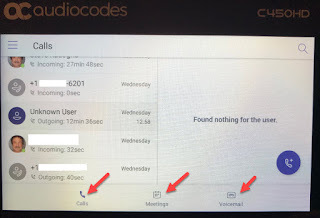 I can see how to make this have a semi-generic account and get invited to meetings and such… and then the room could have this phone in it and we’d be able to join the meeting, but not see contacts, history of personal calls, et cetera. Shared: Nothing but join a meeting. Personal: here I am presented with calls,. meetings, my voicemail. 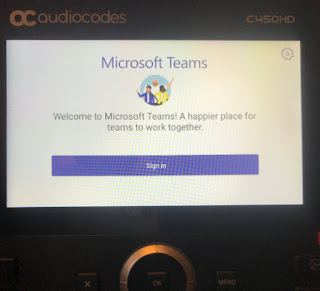 After all the button clicking and MFA entering, we now have a phone that works with Microsoft TEAMS natively. 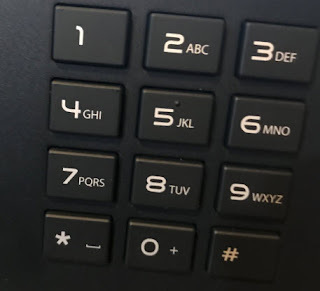 Not a 3PIP phone that sort of works, but a handset set that is actually a full login. Minus video, screen sharing, and access to my full Teams account content. 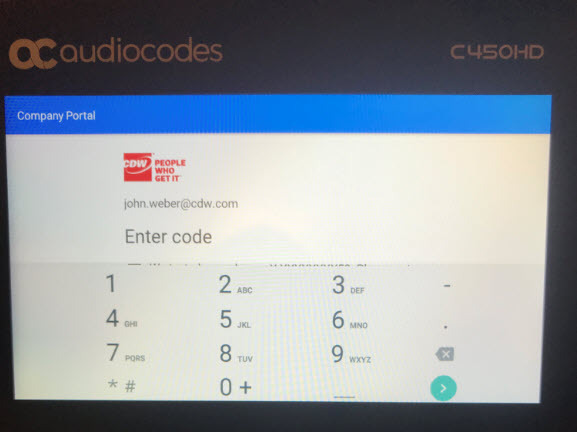 You can make the C450HD into an SfB phone if you wish. From the login screen, before you login to the Teams phone, switching the c450HD to SfB is three clicks. I have been using this device now for the better part of this week to make and take my business calls and participate in meetings. The build quality, technical execution of the device, audio quality, fit, finish and feel are all what you would expect from Audiocodes.